Aw ard-winning author Wayne Johnston will read from, A World Elsewhere on Friday, Sept. 23 at 7 p.m. in the Ganong Hall Lecture Theatre on the Saint John campus of the University of New Brunswick. Wayne Johnston is the author of seven novels, two story collections, and the memoir Baltimore’s Mansion, winner of the Charles Taylor Prize. The Divine Ryans (1990), made into a movie, won the Thomas Raddall Fiction Prize. 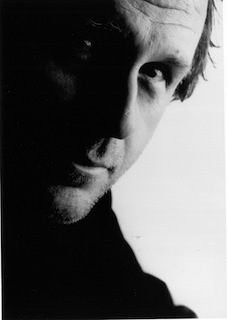 The Colony of Unrequited Dreams (1998) earned Johnston a second Raddall Prize and a Canadian Authors’ Association Award. Both Colony and The Navigator of New York (2002) were shortlisted for the Giller Prize and a Governor General’s Award. From The Story of Bobby O’Malley (1985) to The Custodian of Paradise (2006), Johnston’s fiction has been acclaimed and prized. The Globe and Mail identified Colony as one of the 100 most important Canadian books ever published. For more information, contact Pat Joas at joas@unb.ca at 506-648-5637.